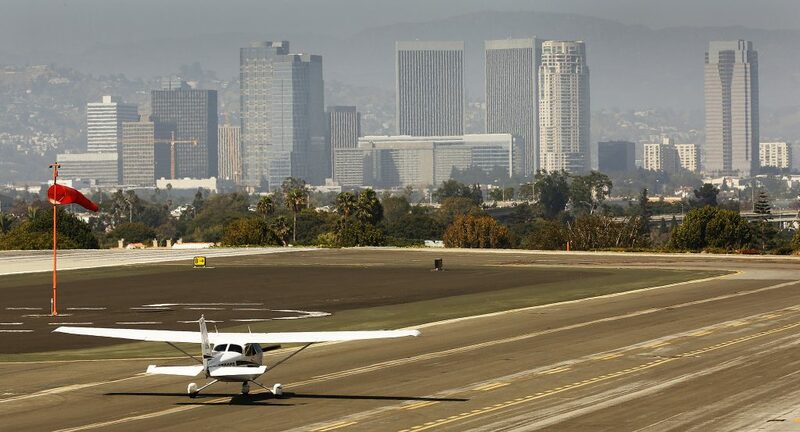 Santa Monica Municipal Airport is closed this week to all air traffic as they finish the changes necessary to reduce the runway length from 5,000 feet down to 3,500 feet. Santa Monica city officials have stated that the project remains on schedule, with tentative plans to re-open to airport by week’s end. Many businesses have been affected by the constriction project, with some flight schools relocating their aircraft to local airports in Van Nuys and Hawthorne to stay active. This also has a permanent affect on private flyers in Southern California, particularly those local to Santa Monica (SMO) or those whom prefer using it as their arrival/departure airport. The thing is, for FAR Part 135 charter operations, a 5,000 foot runway is the sweet-spot, with a large number of charter aircraft requiring this length for safety purposes whether taking-off or landing. Reducing the runway to 3,500 feet doesn’t mean we can no longer arrange flights into Santa Monica, however, it does mean that flights will be limited to turboprop and piston aircraft for Part 135 charter flights; entry level jets that are corporately and individually owned may still be able to utilize SMO under FAR Part 91 operations. That said, this runway reduction was a deal struck between the city and the FAA as an intermediate step while the city aims to close the airport by the end of 2028. The NBAA and other airport advocates are currently filing a lawsuit to overturn the decision. Have any questions about Santa Monica’s runway project and how it might impact your private air travel? Send us an e-mail or call us directly.